What are some of the important reasons for good ankle rehab? With a sprained ankle, the ligaments stretch too far and usually there is some tearing. As a result, that damage causes the ligaments to weaken significantly. Unfortunately, most people who get a sprained ankle already have weak ankles and that’s one of the main reasons they got hurt. If you are an athlete, maybe you’ve been wearing ankle braces or wraps and that made your ankles even weaker. Maybe you’ve lived a life wearing stiff uncomfortable shoes. Or maybe you’re just like most people who walk on carpet, wood and cement and have weak ankles because they never get very challenged with unstable, uneven surfaces. So, the first thing you have to do with sprained ankle rehab is work to get more strength in the ankles. This means the right kind of gentle, but challenging exercises that will strengthen the ankles. But, just remember, you don’t want to overdo it. You never, ever want to do exercises that cause ankle pain. they can get a little sore, because they are weak, but you don’t want to aggravate any nerve pain. But, by doing the right exercises, your body will quickly respond and you will start seeing a positive difference in your ankles. And don’t forget, it’s not just about healing quickly. It’s also about making sure you don’t get another sprained ankle. And the stronger your ankles get, the lower your risk of hurting your ankles whether you play sports or not. And another thing… stronger ankles mean faster movement (speed and agility). And it doesn’t matter if you are an athlete or not. More graceful movement is a huge advantage in sports and in life. What do we mean by mobility and why is it important to rehab? Well, strength is great, but not without flexibility. Think of all those meatheads who can barely move their arms. Strength and flexibility together are the key for healthy ankles. So, it’s absolutely essential in a good sprained ankle rehab program. Keep in mind that a sprained ankle occurs when the ligaments actually over stretch and tear. What happens next? Scar tissue develops. And that scar tissue, along with the swelling and bruising will seriously restrict your ability to move your ankles. That’s healthy in the beginning because it protects you from further injury. But, it will also keep your ankle forever stiff if you don’t address it quickly. Of course, just like the strength rehab, you want gentle and safe exercises and stretches that work mobility back into the ankle. You don’t want to go into any kind of pain, but as long as you don’t the body will respond very well. So first, we build up the strength in the ankle. Then, when it is ready, we introduce flexibility back into that stiff ankle joint. That is absolutely essential to a full and complete recovery. Think about it like this… you are walking across your lawn and you step on an uneven patch of ground. You’re not paying any attention and so your ankle twists outwardly and you get an ankle sprain. However, if your ankle has ideal range of motion, it will be able to stretch to the side without causing injury. 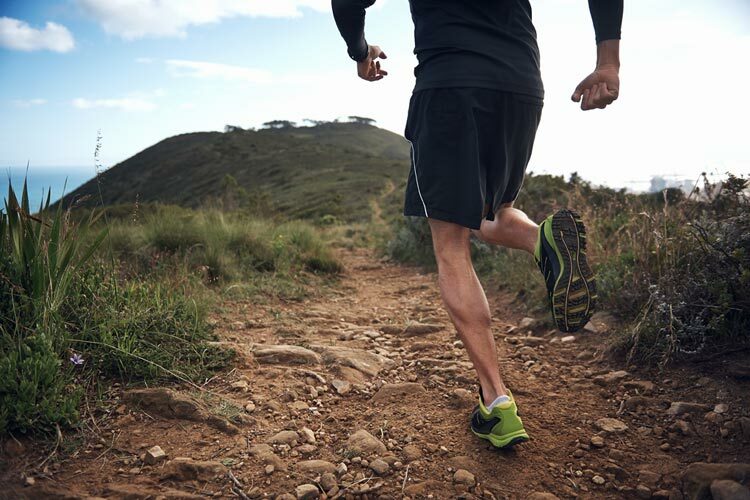 Obviously, it can only stretch so far, but in most cases if you have healthy ankle mobility, you can actually avoid most mild sprains and twists. And if you don’t have good mobility, that misstep could lay you up for a few weeks. So, you want the one two punch of strength in conjunction with flexibility. And this is the second key of a good sprained ankle rehab program. It will not only make you faster and more agile, but it will also help speed along your recovery from a sprained ankle. And of course, that is the most important factor in a good recovery program. 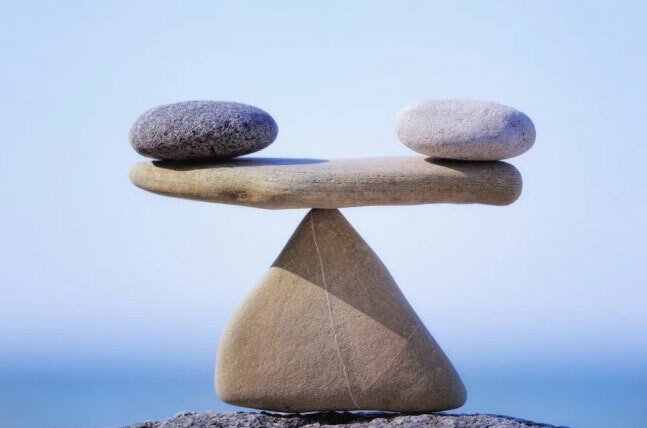 Stability refers to balance, because without good balance, you will always be more susceptible to having your ankle twist this way and that, especially on uneven ground. Go ahead and try to balance on one leg. you will automatically feel all the stabilizer muscles that keep you balanced. Unfortunately, when you get a sprained ankle, these stabilizers also get damaged. Plus, the communication between your central nervous system and the muscles in and around the ankle gets disrupted. That leads to a kind of jerky motion in the ankle joint even when you concentrate on it. And that jerkiness reduces your ability to move and keeps you at a higher risk of re-injury. So, guess what? You have to rehab this are as well as the others. You need to heal this neuromuscular damage and regain natural balance on one leg. 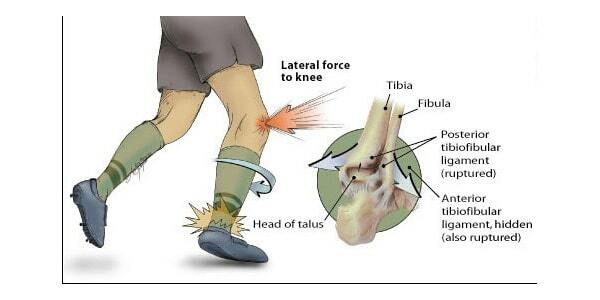 A good sprained ankle rehab program must address this in order to ensure you heal completely. Taken with mobility and strength, this is the third key element of the healing process. A good rehab program will include specific balance exercises that gently and safely challenge your ankle. The H.E.M. 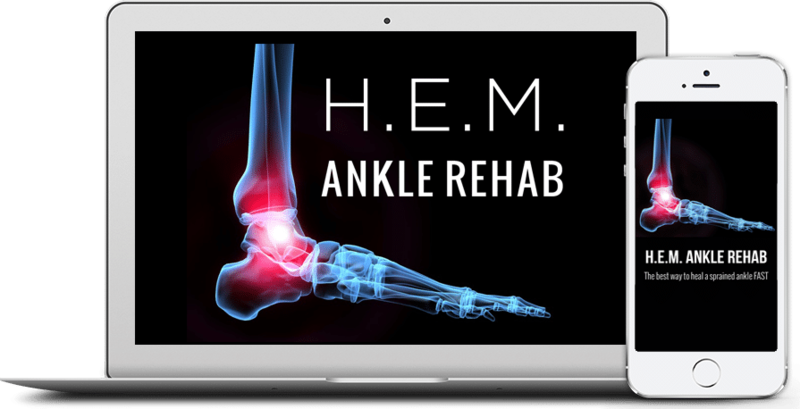 Ankle Rehab System was specifically designed to incorporate these three vital elements into the healing of your ankle. In addition, it deals with the fast reduction of swelling and bruising. taken all together, the H.E.M. System is a one of a kind and proven ankle rehab.